5 − 3 = Required Please enter the correct value. technology. The vast shale gas and shale oil reserves in the United States have completely changed the global energy outlook. 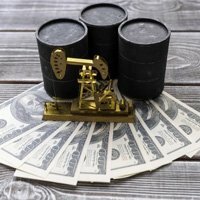 Shale gas and shale oil are expected to lead to a revival of U.S. manufacturing over the next 10 years as cheap energy gives the U.S. a big cost advantage over the rest of the world. But as big as U.S. shale energy reserves are, China's are even bigger. The problem is that Chinese companies lack the technology to access these reserves. With experience gained by looking over the shoulder of shale energy leaders such as Chesapeake, Chinese companies could learn enough to develop their own shale gas and shale oil resources. But even with the best U.S. technology at their disposal, there are still many obstacles to the development of China's shale energy resources. One of the biggest is China's underdeveloped pipeline infrastructure. There are more than 300,000 miles of gas pipelines in the United States. In 2010, China had only 22,400 miles of pipeline. This is expected to rise to 62,100 miles by 2015 but even that is woefully inadequate if shale gas is going to become a major domestic source of energy in China. Another problem for China is a lack of water. It's called hydraulic fracturing for a reason. Fracking uses a lot of water. Where I sit, on the eastern edge of Marcellus Shale in upstate New York, with average annual precipitation of nearly 50 inches, we just don't have to worry about water. That is one of the reasons why our neighbors just across the Delaware River in Pennsylvania, who share our weather, have taken the lead in the exploitation of shale gas by fracking. Is it a good idea to let the Chinese have access to our fracking technology? "The added bonus of letting China in on the North American party is that Beijing will take all the tech and know-how it has from America directly back to China. Given Chinese shale gas reserves [1,275 trillion cubic feet] dwarf those of the U.S. and unconventional oil plays are being revised up and up on a yearly basis in Beijing, both America and China could become energy superpowers in their own right. Perceived resource scarcity would be a thing of the past. Washington and Beijing could feed global hydrocarbon liquidity, set credible benchmark prices, and cut out any unwanted "riffraff' in between. Energy flows East to West, not just North to South and vice versa." china has no oil that is why our gas is so high,they buy so much of it. The Chinese need travel no further than Australia to gain access to giant shale assets, and they are close to home…..